We too! In this blog post we will share a little” know how” in creating your own. 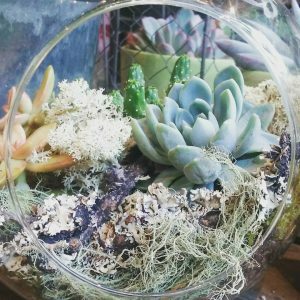 Lush terrariums planted with succulents, ferns, air plants and decorated with twigs and possibly one or two “lego men” have been “en vogue” for a couple of years now. 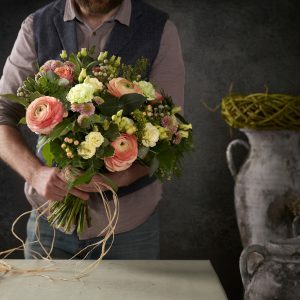 These gorgeous microcosms are a truly unique house décor or a gift, that are actually very easy to make and to look after. According to the legend the very first terrarium was a lucky “mistake”. 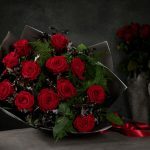 Victorian Botanist Nathaniel Bagshaw Ward with a passionate interest in insect behaviour once left one of his Insect jars unattended a fern spore fell in and grew into a plant thus creating the very first terrarium. Instead of the terrarium it was known as Wardian case. 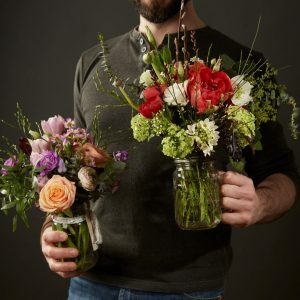 If unlike Mr. Ward you do not have any accidental insect jars lying around, you can find all the necessary equipment at Adonis Flower designers! When choosing your plants think about the final location of the terrarium. Is it going to be a sunny bright spot or a little shadier corner? 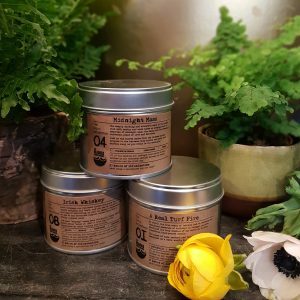 Remember that all plants will need some natural light to grow. Plants suitable for a sunny location are all succulents and cacti. Plants that would do well in a less bright spot are Ripsalis or Jungle cactus, ferns and Peperomia also air plants will do just fine. When planting several plants in one terrarium choose ones that thrive in the same conditions and watering regime. For example it is not a good idea to plant a fern and a cactus together since one prefers to be watered less frequently then the other. 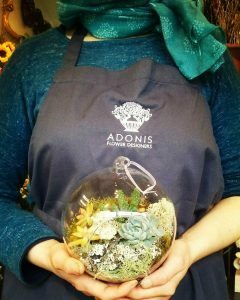 At Adonis we have a large selection of various succulents and air plants starting from Echeverias, Aloe humilis, Euphorbias and Crassulas etc. You will not be left short, we promise! 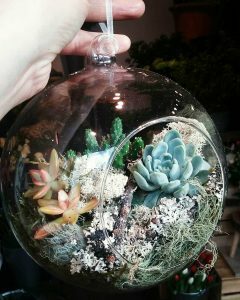 Terrarium care: The watering requirements will depend on the plants you will chose and how warm is your home. It is a good idea to keep an eye on your terrarium the first weeks to figure out the best regime that suits your particular conditions. Basically, check for moisture levels. 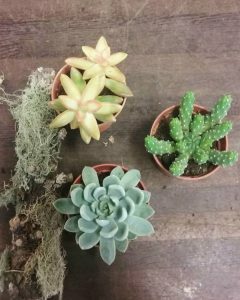 Succulents and cacti like to be dried out in between the watering, while ferns prefer to be moist at all times. Either way the easiest way of watering is misting. In summer when the light levels are up, and plants are actively growing you should add a weak solution of fertilizer to your mister. A little amount of compost and sand mixture. 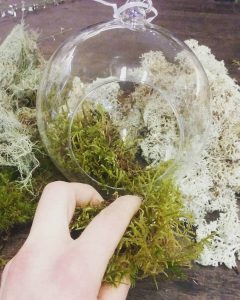 Start by lining the terrarium with a bit of moss, because once you hang the terrarium that is what you are going to see and this hides the compost. 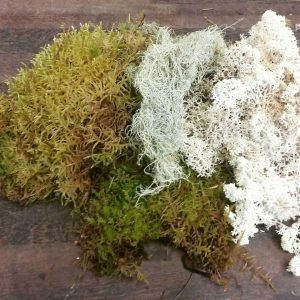 After scoop in a small amount of mixed compost and sand, plant in your plants, dress them once again with a little bit of moss. 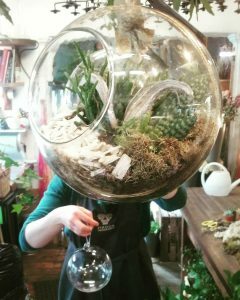 Place your decorative twigs, and, Voila, you are a proud owner of your own Terrarium! 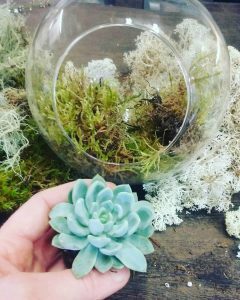 Enjoy the making and come and visit us for any further tips or even your own terrarium making kit!